$21 trillion in “missing money” at the DOD and HUD that was discovered by Dr. Mark Skidmore and Catherine Austin Fitts in 2017 has now become a national security issue. The federal government is not talking or answering questions, even though the DOD recently failed its first ever audit. Fitts says, “This is basically an open running bailout. Under this structure, you can transfer assets out of the federal government into private ownership, and nobody will know and nobody can stop it. … the debt-financed overspending of the 1960s had continued into the early 1970s. The Fed had funded this spending with easy-credit policies, but by paying back its debts with depreciated paper money instead of gold-backed dollars, the U.S. effectively defaulted. Ray Dalio of Bridgewater Associates is one of my role models in life and, when he writes a new book, I would normally visit Amazon.co.uk more quickly than you can count to ten, but not this time! What? Have I fallen out of love with Ray’s way of thinking? Not at all, but I found out that his new book – Principles for Navigating Big Debt Crises – can actually be downloaded for free. Ray, being the class act he is, has decided that everybody should know how to navigate a debt crisis; hence he has chosen to make it freely available (as a PDF copy). Much (but not all) of the content below is inspired by Ray’s thinking. He is not as explicit in his new book as I am below (and as he has been before) in terms of the timing of the next debt crisis, but it’s pretty clear that he also thinks the writing is on the wall. If you want to read the wise words of a very smart man, I suggest you give yourself one for Christmas, which you can do here. Christmas presents rarely come cheaper than this. In the following, I will focus on what Ray calls major debt crises – crises that have caused a slump in GDP of at least 3% but, in reality, there are different types of major debt crises. The conflict between the European Union and Italy is a full-blown financial war. Euro countries cannot print their own money and for that reason they cannot have an endless deficit. Countries within the eurozone have to live within their means or else, without the intervention of the ECB, they will go bankrupt. Nobody knows the consequences of an Italian default and debt restructuring, but it can lead to the end of the euro. The country has entered a demographic winter3)and sustainable economic growth is simply impossible, at least for the foreseeable future. As is the case with the whole of Europe, the continent needs a plan to support an ageing and declining population. As if not aware of it, the Brussels-Frankfurt establishment only wants Italy to stick to their austerity program, i.e. decrease public spending and do away with the current Italian administration, which refuses to comply. 2. Bring demand forward by encouraging consumers to buy on credit now.Nothing like 0% financing to incentivize consumers to buy now rather than later. Since a mass-consumption economy depends on “growth,” consumers must be “nudged” to buy more now and do so with credit, since that sluices money to the banks. This vast expansion of risk-assets valuations was intended to generate a wealth effectthat made households feel wealthier and thus more willing to binge-borrow and spend. Recent news from China has been really ugly. But what can you expect? They’re trying to fight a trade war against the U.S. – deal with slowing growth – and survive against a stronger U.S. dollar. And because of these problems – China’s major stock exchanges have really suffered this year. But – contrary to what the mainstream says – I think things are going to get much worse. . .
For starters – the latest Chinese Manufacturing PMI (purchasing manager index) showed a continued downturn. Both in the NBS and Caixin Indexes. Clearly the trade-war with the U.S. is being felt. And with little progress in negotiations between the U.S. and China – expect the near-and-midterm to continue being weak. Now – Unfortunately – this slow down in the Chinese economy and the loss of sales and income are coming at a bad time. . . The combination of a slowing economy, a stronger dollar, and a tightening Federal Reserve is putting pressure on indebted Chinese firms. This is putting China’s elites between a rock and a hard place. . .
That’s because with the trade-war raging on and a tightening Fed – the Communist Party of China will want to ease and help their economy. The Peoples Bank of China (the Chinese central bank) can cheapen the yuan to try and boost exports. And as I wrote before – the weaker yuan will offset Trump’s tariffs. For example – if the U.S. places 20% tariffs on all Chinese goods – China simply must devalue the Yuan by 20%. This would offset the increased costs from the tariffs – keeping the price for U.S. consumers unchanged. Basically rendering the imposed tariff worthless. But the problem with this is Chinese firms have significant dollar-denominated debts. So a stronger dollar makes their debt-burden much harder to service. One week after we reported that India’s NPL crisis finally erupted after IL&FS, a major shadow bank at the heart of India’s economy defaulted in one day on three debt payments, India’s government announced on Monday that it would immediately seize control of a shadow lender whose defaults have caused widespread upheaval at mutual funds. The nationalization is virtually unprecedented: the nation’s corporate affairs ministry has sought to take control of a company on just two prior occasions, and only followed through once, with Satyam Computer Services in 2009. A bid by the government to take control of debt-laden realty firm Unitech in late 2017 was stalled by the Supreme Court after the move was challenged. According to Bloomberg, officials ousted Infrastructure Leasing & Financial Services Ltd.’s entire board and a new six-member board will meet before Oct. 8, the National Company Law Tribunal said on Monday. India’s richest banker Uday Kotak and ICICI Bank Chairman G.C. Chaturvedi will be part of the proposed board, which will elect a chairperson themselves. An AAA-rated entity for decades, over the last few years IL&FS, saw an increase in its debt levels. The situation worsened in the last two months with both the parent company and its subsidiaries defaulting on a number of repayment obligations. Banks and insurance companies have the largest exposure to IL&FS. For India to resort to such a dramatic move, the panic must have been palpable: the nationalization, which unfolded within the span of a hectic day in Mumbai, underscores the government’s concern about IL&FS’s defaults spreading to other lenders in the world’s fastest-growing major economy. But what would be the trigger for said corporate meltdown? According to a new report from Goldman Sachs, the most likely precipitating factor would be rising interest rates which after the next major round of debt rollovers over the next several years in an environment of rising rates would push corporate cash flows low enough that debt can no longer be serviced effectively. While low rates in the past decade have been a boon to capital markets, pushing yield-starved investors into stocks, a dangerous side-effect of this decade of rate repression has been companies eagerly taking advantage of low rates to more than double their debt levels since 2007. And, like many homeowners, companies have also been able to take advantage of lower borrowing rates to drive their average interest costs lower each year this cycle…. until now. According to Goldman, based on the company’s forecasts, 2018 is likely to be the first year that the average interest expense is expected to tick higher, even if modestly. IL&FS Investment Managers, a unit of India’s Infrastructure Leasing & Financial Services (IL&FS) – an Indian infrastructure development and finance company and one of the nation’s largest “shadow banks” – which announced three debt defaults on Friday, said on Saturday morning its Managing Director Ramesh Bawa had resigned as managing director and chief executive officer as a management exodus begins. The company’s independent directors – Renu Challu, Surinder Singh Kohli, Shubhalakshmi Panse and Uday Ved – had also submitted their resignation papers. The company first defaulted on commercial paper, then on short-term borrowings known as inter-corporate deposits according to Bloomberg. It has also failed to pay Rs 4.5 billion ($62 million) in ICDs to government-backed lender Small Industries Development Bank of India. As we noted on Friday, IL&FS revealed a series of three defaults on its non-convertible debt obligations and inter-corporate deposits. With the meltdown of IL&FS in motion, another unit, IL&FS Transportation Networks, reported that its chief financial officer, Dilip Bhatia, was demoted to chief strategy officer, for the goal of divestment of assets. The regulatory filing said Bhatia would relinquish his responsibilities as CFO with immediate effect, and the company will search for a replacement. The shockwaves spread further on Friday, when IL&FS Financial Services, another unit of the IL&FS group, said its managing director and chief executive had resigned. Why is this important? IL&FS’s outstanding debentures and commercial paper account for 1% and 2% respectively, of India’s domestic corporate debt market as of March 31, according to Moody, while its bank loans made up about 0.5% to 0.7% of the entire banking system loans. And while bad loans in the Italian banking system have received a ton of attention from investors, India is not far behind and India’s economic recovery is built on an even shakier foundation. 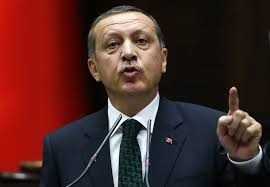 The rumors running around is that Turkey will default as Erdogan decides to move to align with Iran and Russia and leave the West behind. While there have been speculative attacks on the Turkish economy and US tariffs and sanctions have been detrimental, the initial causes of this growing monetary problem are really all internal. Erdogan’s management of the economy has been a disaster. He has pretended to borrow too much money from foreign investors to stimulate the economy. It is true that the total debt rose to over $450 billion, about half of GDP. Turkish exports and the current account deficit rose to $50 billion. This has led to rapid inflation that has been at least an annual rate of nearly 7% on average during the last ten years. In truth, Erdogan was really trying to build the economy to fulfill his dream of reestablishing the Ottoman Empire and emerge as at least the dominant power over the Middle East. Unfortunately, Erdogan is stubborn and he really has no way out. He wants his cake and consumes it all at the same time. The rumors running around the trading desks are that he will pull the plug and turn his back on the West. By doing so, he can then justify defaulting on the debt of the “corrupt” West who wants to subjugate Turkey. That will be the justification spin of things. It looks like this will remain volatile into October. Italian Deputy Prime Minister Matteo Salvini was right to call out the EU over the failure of the bridge in Genoa this week. It was an act of cheap political grandstanding but one that ultimately rings very true. It’s a perfect moment to shake people out of their complacency as to the real costs of giving up one’s financial sovereignty to someone else, in this case the Troika — European Commission, ECB and IMF. Italy is slowly strangling to death thanks to the euro. There is no other way to describe what is happening. It’s populist coalition government understands the fundamental problems but, politically, is hamstrung to address them head on. The political will simply isn’t there to make the break needed to put Italy truly back on the right path, i.e. leave the euro. But, as the government is set to clash with Brussels over their proposed budget the issues with the euro may come into sharper focus. Looking at the budget it is two or three steps in the right direction — lower, flat income tax rate, not raising the VAT — but also a step or two in the wrong direction — universal income. 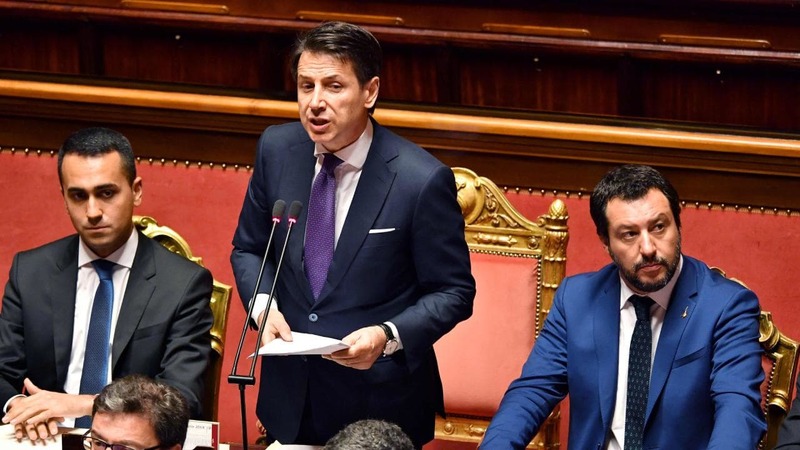 Opening up Italy’s markets and lowering taxpayers’ burdens is the path to sustainable, organic growth, but that is not the purpose of IMF-style austerity. 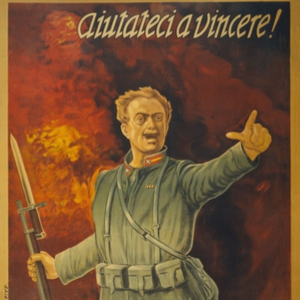 It’s purpose is to do exactly what it is doing, strangling Italy to death and extracting the wealth and spirit out of the local population, c.f. Greece and before that Russia in the 1990’s. So, looking at the situation today as the spat between Turkey and the U.S. escalates, it is obvious that Italy is in the crosshairs of any contagion effects into Europe’s banking system. Regular readers of the Fortnightly will know that The Solid Ground has long forecast a major debt default in Turkey. More specifically, the forecast remains that the country will impose capital controls enforcing a near total loss of US$500bn of credit assets held by the global financial system. That is a large financial hole in a still highly leveraged system. That scale of loss will surpass the scale of loss suffered by the creditors of Bear Stearns and while Lehman’s did have liabilities of US$619bn, it has paid more than US$100bn to its unsecured creditors alone since its bankruptcy. It is the nature of EM lending that there is little in the way of liquid assets to realize; they are predominantly denominated in a currency different from the liability, and also title has to be pursued through the local legal system. Turkey will almost certainly be the largest EM default of all time, should it resort to capital controls as your analyst expects, but it could also be the largest bankruptcy of all time given the difficulty of its creditors in recovering any assets. So the events of last Friday represent only the end of the beginning for Turkey. The true nature of the scale of its default and the global impacts of that default are very much still to come. Strong form capital controls produce a de facto debt moratorium, and very rapidly investors realize just how little their credit assets are worth. A de jure debt moratorium at the outbreak of The Great War in 1914 bankrupted almost the entire European banking system – it was saved by mass government intervention.